TV series today have become an important part of the movie industry and also a big part of our daily life. There are so many new shows coming up every month and millions of people around the globe (yeah, the round one) are counting anxiously the hours left for the next episode to come out. The truth is that a really good TV show can be very addictive and can easily gain huge fanbase if it’s done the right way. TV series like “Seinfeld”, “Friends”, “How I met your mother”, “The Sopranos”, “The Office”, “Breaking Bad”, and “Game of Thrones” play a significant role of the modern day pop culture. It’s normal for us to have a favorite one and we can get very attached. So, imagine that one day the show got canceled. It’s not because it got worse through the seasons, or because of low ratings or something. No, that’s not the case. Yes, you’ve guessed it! We are referring to FOX’s “Brooklyn Nine-Nine”. The sitcom everybody is talking about right now. The show is mainly about detective Jake Peralta. Very talented but an immature cop in Brooklyn’s 99th precinct and his conflict with his new commanding officer Captain Ray Holt. The show premiered back in 2003 and was well received by the viewers. 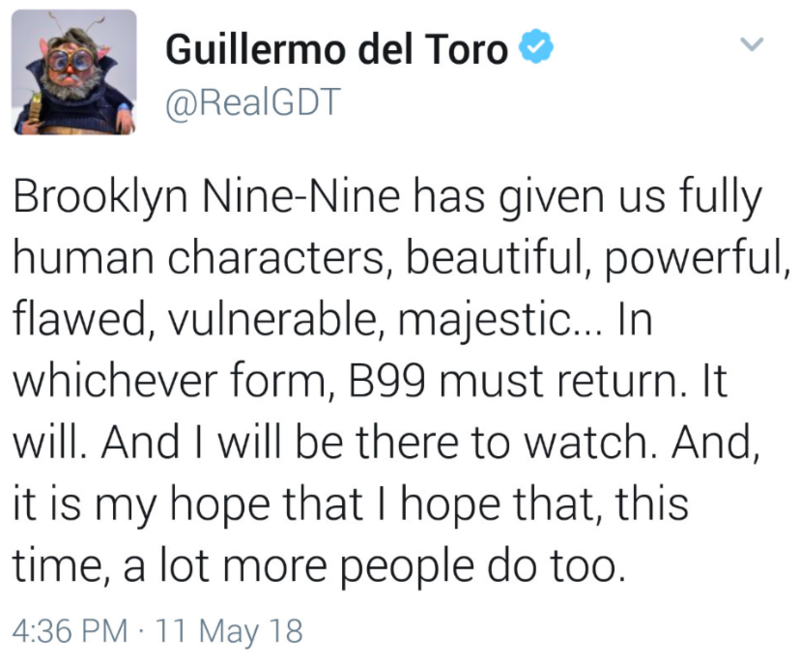 As a result of that “Brooklyn Nine-Nine” won a lot of loyal fans through the years. To be honest, 15 years is a lot of time and not many TV series managed to survive this long, so for that alone, the show deserves our compliments! 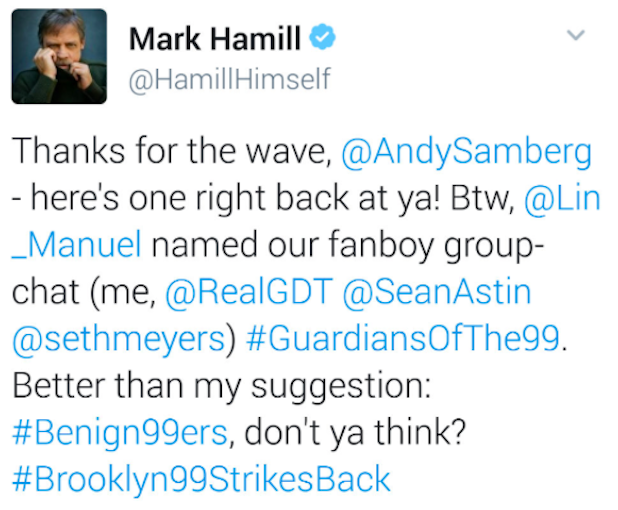 The comedian and TV Host Seth Meyers and actors Lin-Manuel Miranda and Sean Astin also give their support. Unfortunately, after all the effort, Fox didn’t renew the show for another season. But oh boy, it wasn’t all in vain! After the huge media buzz, NBC decided to take advantage of the situation and rescued the series. Smart move to be honest. 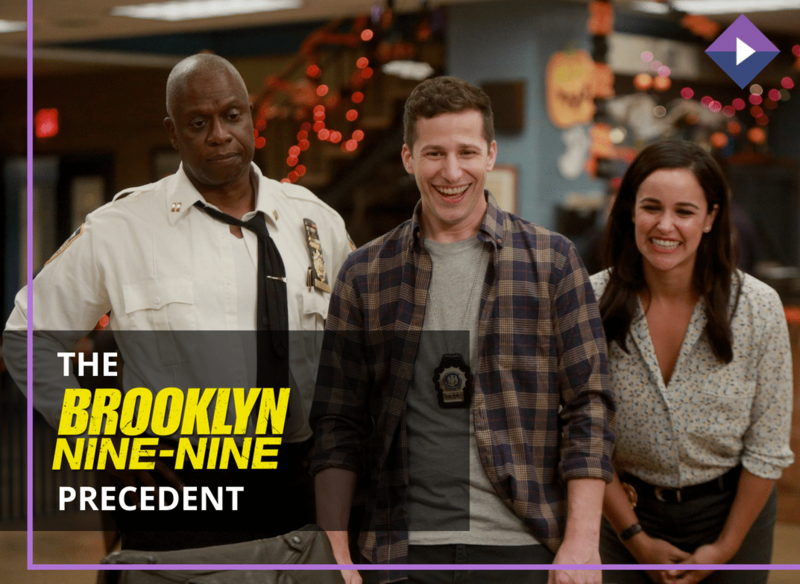 Remarkably, it all ended great for “Brooklyn Nine-Nine” fans as they will continue to enjoy their favorite show! What a twist, huh? What does that mean from now on? The “Brooklyn Nine-Nine” case is an absolute precedent. For the first time, a TV show is saved by its fans. Тhis gives new hope and great opportunities to all the fans out there who can eventually save their favorite series whenever the producers decide to shut them down. It makes a lot of scenes because, after all, this is a product that is specifically for the audience and the audience itself must have the final vote. We may be witnessing the birth of some kind of a “TV Series Democracy” here where the people decide, not the producers. Who knows! Although this concept sounds pretty tempting, it can easily be misused. We all have to admit that, sooner or later, a TV series has to end. Sometimes, when the ratings are low and the product is losing money with every episode, the obvious solution is to cancel the show and move on to something new. There is nothing shocking and new to that. The problem is that you cant measure everything with ratings. There is a good possibility that the particular show, despite having low ratings, can have a lot of fans and of course they will be strongly against canceling the series. You can probably see the issue here. If saving TV shows becomes an everyday thing, the producers, and the filmmakers may become hostages to that situation. So, without a doubt, there are two sides of the story. Recently, there were more attempts by fans to revive other canceled series such as “Ash Vs Evil Dead” and “Lucifer” but so far there has been no serious result in that direction. Will the saving of “Brooklyn Nine-Nine” be one of a kind thing, or is it just the beginning? We guess we’ll have to wait and see! Which TV show you wanna see renewed? Let us know in the comments section!